These helmets were produced from 1958 to 1962 and only a few of them got to the racing tracks. It was specially used in Formula One events, Grand Prix, Targa Florio during those years. They are a very collectible item not only due to its beautiful design but also for its scarce production. 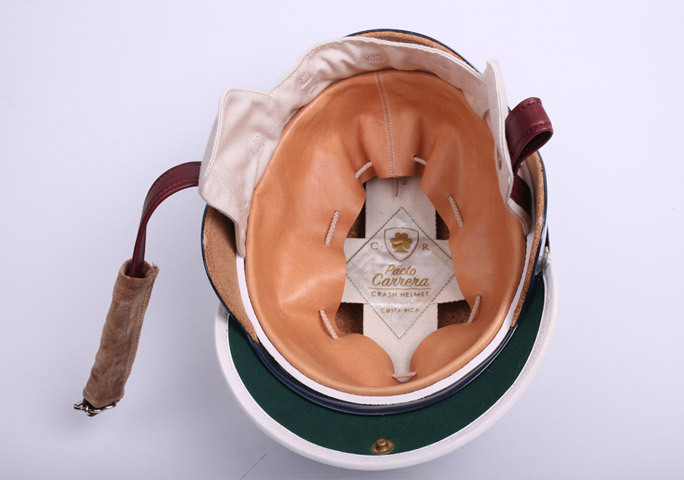 Great pilots of the golden age such as Mike Hawthorn, Stirling Moss, Tony Brooks, Bruce McLaren and others used to wear them and contribute to its fame; Moss and Brooks got the one-two in the RAC Tourist Trophy race in 1958 driving their Aston Martin DBR1 in Goodwood wearing this helmet.